The start of the procedure that is now called the coding for alcoholism was initiated in the first half of the last century. Before that, something similar was used in folk medicine, shamans, and others. People asked for help from their relatives to get rid of alcohol addiction. reflex as an obstacle from strong drinks. Discussing the topic of coding, people usually refers to the experience of the famous Russian physiologist Pavlov, who first has paid attention to the nature of the reflexes appearance as the involuntary reaction of the organism to stimuli. The basis of coding is consisting of “deterrence” principles. It consists in the combination of two major components. 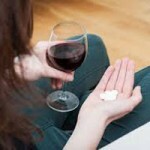 Using of toxic drugs, which kill the physiological desire to drink. 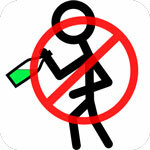 Application of the method, which causes a psychological fear and aversion to alcohol. The successful combination of these components provides a powerful and lasting impetus to the disgust of alcohol, pushing a man to the idea of giving up a source of concern. As the main toxic medication which forms an aversion to alcohol is used a disulfiram and its various derivatives. 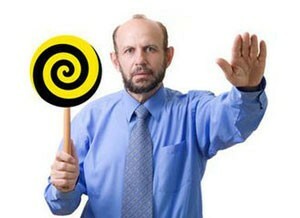 For installation of aversion to harmful alcoholic beverages, the hypnosis is used. Under the influence of all kinds of psychiatry’s tricks, there is appears a proof association of alcohol disease with discomfort. How do the specialists use the hypnosis? As a rule, it is rather difficult to bring yourself to treatment from any bad habit. In any case, there are lots of doubts. But when the decision to get rid of alcohol dependence is accepted everybody – the patient and his family, begins to concern about the next important question about the process coding. At first glance, according to outside observers, it’s simple: the coding occurs in several steps. The patient is given a dose of special preparations, appropriate to the extent of disease. The patient goes into a state of hypnotic sleep, or other condition similar to a state of complete relaxation. Since the “off” of the patient’s consciousness, the main procedure of magic doctor about the patient is beginning. At this time, tablets, medicines or drugs, taken by the patient, begin to act, and he transfers to another state, which is most favorable to the perception of doctor’s instructions. Let’s remember that the essence of coding for alcoholism is in solving the problem to cause an alcoholic persistent perception of alcohol as something nasty, unpleasant and painful. The beginning of the action of the drug and medicines coincides with the beginning of his installation to the patient his further bad state in case if he violates the prohibition of alcohol consumption. some other pain areas on the body. The great importance during the hypnotic session is played by the suggestion that the doctor pronounces. For example: “After the taking of an amount of alcoholic drinks, and the fortress doesn’t have a matter, you will have severe nausea. There is no any chance to get at least some pleasure. Alcohol, in any case, will be a catalyst for a permanent sense of horror, fear and, in the end; everything will end with death in terrible pain”. The coding procedure usually ends with the installation to the patient to forget everything that was made with him by a doctor during the treatment session. the patient does not remember even the sounds that came from outside. Memories caused by the sounds and smells that were “witnesses” of coding session, go deep into the patient’s subconscious. luggage of own intelligence with limited access to it, and to solve this problem is possible only at the level of the extreme state, for example, a total relaxation of the body, or the state in which the doctor inserts into a hypnotic state of the patient during the whole coding session. Besides, there is also a coding method of Ukrainian specialist Dovzhenko, which had become quite popular and is still used in many drug treatment clinics. This method is applicable for those patients who have a tendency to hypnotic suggestion. If an alcoholic because of the individual characteristics is unaffected by hypnosis (low responsive), then this method is unlikely to be used. After using hypnotic suggestion by Dovzhenko, it is necessary to cleanse the body as well as to use the standard drug and psychiatric treatment regimens. Such as preparations as SIT, NIT, MST. In medical practice, it is widely used, so-called coding – using different methods of suggestion. The Dovzhenko’s method is well known and actively used by the drug specialists in practice. It is considered as one of the most efficient and therefore widely used in the fight against alcoholism. Coding using “Torpedo” prick is used after a full medical examination of alcoholic’s organism. Of course, there are no any contraindications. A double coding block represents a simultaneous combination of several techniques. 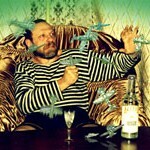 Often, as a psychological component, is used the method of Dovzhenko. Laser coding – is a new word in modern medicine. It is based on the same principle as acupuncture and acupressure. zone in the area of the blades. The countries of former CIS still use imported drugs. before sewing doctors completely cleanse the body of the patient from ethanol. The patient needs to withstand a certain period of sobriety. with a special tool vial esperal s being implanted under the skin for a depth of about 4 cm. The term of body’s blocking from alcohol can range from six months to 5 years. Disulfiram, interacting with alcohol, provokes a sharp deterioration of the patient’s condition: fear blocks the desire to drink. The feeling is enhanced by the action of the drug intravenously. Sometimes the drug specialists deliberately provide alcoholic provocation and offer the patient to drink 20-50 grams of vodka or other alcohol. There comes a severe reaction of alcohol intolerance and patient get knowing well the danger of alcohol after sewing a medication. Inserting refers to a group of long-term action methods. The substance is being gradually exuded from the vial and slowly gets into the blood. This allows it to maintain a stable concentration of medicine. They cause a complete disregard for alcoholic drinking. The method of sewing is one the most effective ways of blocking alcohol through a chemical reaction. “Torpedo” – is a method, the use of which is possible only in the case when it was made a complete physical examination of the patient and physiological factors aren’t contraindications for treatment. “Torpedo” is a prick that is made after a medical examination. Through this injection, there are substances in the patient’s body, which are totally incompatible with alcohol. Thus, normal functioning of the body during alcohol consumption becomes impossible. After the injection of a drug, during some period of time the patient is under the watchful supervision of doctors. In the case when there is a collapse, the patient begins to feel unwell. In this case, the method of provocation is not applicable. The Using of provoking situations is necessary if medications of SIT type were used for coding. Provocation means that after applying the drug, the patient is given a small amount of alcohol, which shows him just how bad it can be after taking alcohol. An expert warns the patient that in case of repeated collapse, he may have breathing spasm that leads to death, and other unpleasant and painful symptoms, causing as discomfort so death. The double block is another coding method, which combines several, already described above, techniques, which are used together. As a rule, double block suggests that doctors will use the drug treatment method of Dovzhenko as psychological component of treatment, and also sewing or inserting to the patient specialized products, directed to form disgust for alcohol. Thus not every patient has an opportunity to get a complete complex of treatment for alcohol dependence in the clinic, so it can be often used a short outpatient treatment, which is accompanied by further treatment at home. If there is a necessity, drug specialists also prescribe for the patient a supporting course of medicines that can be used at home. Laser coding is a new word in the sphere of formation of disgusting to strong drinks, which is based on the same principles as acupuncture or acupressure (i.e. impact on the so-called “center of life” in the alcoholic’s body). This technique has become available after the discovering of the laser beams, as well as developing the technologies for their use in medicine. This method operates in the following: a very thin laser beam blocks center, which is responsible for addiction at the hands of the patient and in his brain. The idea is that a doctor makes an impact on biological points. This method is almost painless and doesn’t harm the body. Among the advantages of this method, there are can also be called concomitant treatment of internal organs, including the kidneys, liver, and heart. The method is not able to harm the health, and can save doctors’ efforts, because at the same time it allows to influence healthily on the internal organs, which are usually in very neglected and sad state. The price of coding service depends on the severity of the disease. The cost of coding is different, though, at first glance, the cases may seem similar. Generalized cost of service for the conditional average patient varies. 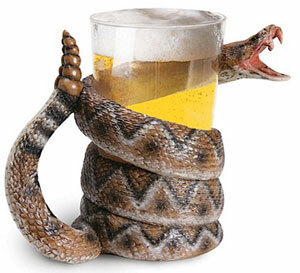 Any medical institution that is gain with the problem of alcoholism, has its own characteristics and hence its prices. This allows for potential customers to determine how cheap or costly service will be. It is not necessarily to go to any center in order to find out how much the coding cost. As a rule, questions of price, the conditions of coding procedure and so on, are found out by calling the clinic. There are several quality advantages when you visit the official specialized clinic. After the end of the treatment course, you can get a medical certificate. You can’t put a task as number one – to code inexpensive, cheap or free. You should ask for help from the state medical institutes. As an option – look for luck and ask for help from the welfare centers. It is better to pay for the service and rely on higher quality and more reliable results than later to overpay for someone of questionable medical errors in the centers, where it is always promised to provide the service cheaply and efficiently. But this is not always realistic. Of course, in each case, the choice of the hospital can be done only by the patients and their relatives, who have decided to return to a normal human life. Is it possible to get free procedure of coding for alcoholism? There are no private drug treatment centers, which providing free coding. In order to be coded for free, you can appeal to the state medical institutions, working in this industry. You can also try your luck at welfare centers which are engaged in the problem of drug and alcohol addiction. Thinking about how to get the opportunity to be coded for free, we must do not forget that this procedure is very serious and time-consuming and requires considerable efforts from a doctor. That is why you should not rely on free services: it’s not a secret that would be better to pay the necessary amount of money and get a quality and reliable service, than to pay more than twice, correcting the errors of free specialists. Of course, the preceding does not mean that charitable and governmental organizations provide substandard services. In any case, the choice of the institution where the alcoholic will be got a help – is the choice of the patient and his family. Does the coding for alcoholism harmful for health? Are there side effects from coding? Whether there are negative consequences, etc.? But when the decision is made, and the patient and his relatives should be aware that the coding has several mutually exclusive parties, that means that the procedure has side effects and, therefore, may cause harm to human. By what the coding is dangerous? “pour out” as different unpleasant associations, which appear in the case when the doctor’s installations are broken. painful feelings in the areas, involved by a psychiatric during the procedures. In cases when it still comes to drinking of alcoholic beverages, arising feelings because of this are enhanced iteratively. 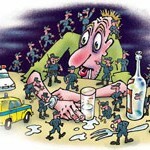 The body tries to tear away the alcohol, and the fear of drinking transfers into a panic. the mood will worsens, etc. Appearance of unpleasant associations is possible even in cases when ex-alcoholic hears the name of strong drinks or just watching advertisements for alcohol on television. Based on the foregoing, it must be remembered that daily life for the former alcoholic fraught with constant vigilance, and can be turned into provocation of physical discomfort. sometimes – even after hearing the voice of the medical staff, which will remind the voice of his psychiatrist. Is it harmful to be coded? Based on the fact, which opinions about the procedure are coming and knowing the consequences, we can say that there is a certain amount of risk. Doctors recommend view coding as a reserve for the disposal of alcohol dependence, because the traditional therapy of treatment the disease, is able to give a positive result. It should also be remembered that the effect of treatment for alcoholism using coding is not always achieved. Achieving the goal is possible if a person has revised his attitude towards life priorities, philosophy of his behavior and understands the necessity to thoroughly taking care of your health. It helps a person to save his health and prolong the life.